Check out our review of the HTC One Max smartphone. After many months of leaks, rumor and speculation, the HTC One Max is here. It’s HTC’s third phone in the One series, and visually it’s very similar to its sister phones, apart from the size. So, is the One Max’s size its only trick, or does it have a few surprises hidden inside its aluminum unibody? Let’s find out. Guess what? It looks like a big HTC One, or an even bigger HTC One Mini. This isn’t a criticism though, as the HTC One is still one of the best looking Android smartphones you can buy, and if you’re going to have a massive phone, it may as well look cool. The aluminum unibody remains – only in silver at this stage – and HTC has added a removable rear panel so you can access the MicroSD card slot. This feature was previously seen on the Chinese version of the HTC One. Another alteration over the HTC One is the power button is now on the side of the device, and not the top. So how big is the HTC One Max? 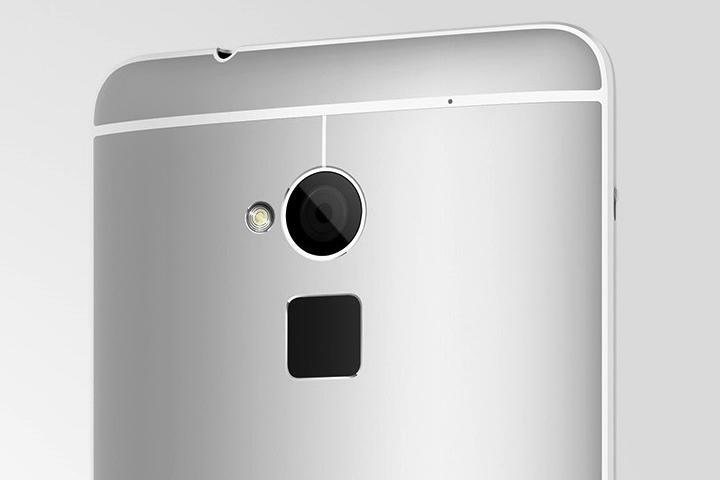 It’s a single millimeter thicker than the HTC One, and the footprint is 165mm by 82mm. This makes it 10 millimeters longer than the Samsung Galaxy Note 3, and a couple of millimeters wider. That’s not going to make much of a difference, but the 217g weight is more than 40 grams more than the Galaxy Note 3, and five more than the gigantic Sony Xperia Z Ultra. You’re going to know the One Max is in your pocket. How about the tech specs? Outside of the fingerprint sensor, there aren’t many surprises here, although it’s unusual to see a high-end, expensive smartphone/tablet hybrid without a Snapdragon 800 processor inside. However, don’t hold it against the HTC One Max, as any performance difference is likely to be negligible, and it could even help the battery last a little longer. The UltraPixel camera is the same as the one found on the One and One Mini, but it doesn’t come with Optical Image Stabilization. HTC has also added the ability to use both camera lenses at the same time, with a feature called Dual Capture, just like Samsung and LG. Massive screen aside, this is the HTC One Max’s headline feature. Unlike the iPhone 5S, the fingerprint scanner is mounted on the rear of the phone, just below the camera lens. It needs an upward swipe to unlock the phone, but early reviews indicate you still need to wake the phone first, so it’s not really going to be much quicker than using a passcode. The security will be stronger though. HTC also offers users the chance to assign three different apps to three other fingers, allowing you to automatically activate them when you unlock the phone. Oddly, according to early comments, this doesn’t work when the phone is already unlocked. It’s good to see HTC use the very latest version of Android onboard the One Max, and a new version of its Sense user interface. There are a few changes here. BlinkFeed, the Zite-like news aggregator shown on the home screen, can now be turned off entirely, or if you’re a fan, you can add your own custom categories, Instagram or Google+ feeds, and a reading list. On the camera side, an animated GIF maker has been added into HTC Zoe, and early tests indicate we can expect a few more themes. If the 3300mAh battery isn’t enough, then you may like the Power Flip Case, which has a 1150mAh battery built-in, ready to give the phone a quick energy boost while it protects the body from knocks and scratches. 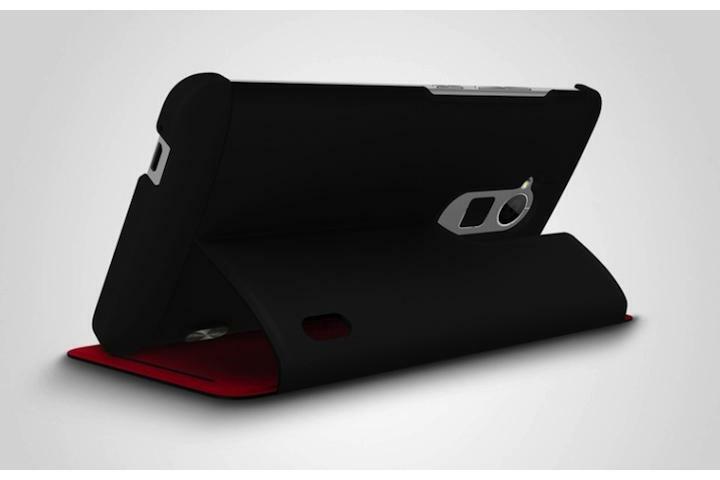 If you don’t need a case with a battery inside, HTC also makes a standard Flip Case with a built-in stand. Both are listed on HTC’s UK website with prices, and the Power Flip Case is £80/$130, while the battery-less Flip Case is a more reasonable £25/$40. HTC says the One Max is coming to out in mid-October, with the UK, Europe, and parts of Asia first on the list. Vodafone has bagged the big phone as an exclusive, and has priced the 4G LTE version with 2GB of data each month at £50/$80 upfront, followed by a £47/$75 per month charge for two-years. There’s no release date yet. Clove Technology has the phone up for pre-order already, and an unconnected 32GB HTC One Max will set you back £590/$940, with shipping expected to start at the end of October. As for the US, HTC has confirmed the phone will be coming to Sprint and Verizon during, “The holiday season,” so the wait should be short if you’re already set on buying an HTC One Max. Updated on 10-16-2013 by Andy: Completely replaced the old rumor roundup with all the concrete information we have on the HTC One Max, now that it’s announced.